Sturm Elevator has been servicing, maintaining, repairing, inspecting and certifying commercial elevators in and around Portland Oregon since 1911. With over 100 years of experience and knowledge, Sturm Elevator is a trusted provider of commercial elevator services to businesses in the Portland metro area and throughout Oregon. 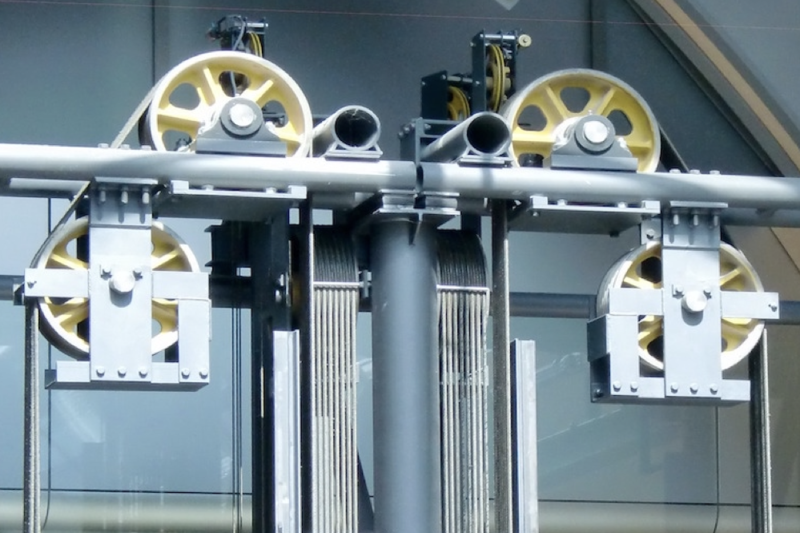 ​With statewide coverage, we offer fast, expert and reliable commercial elevator service – including 24 hour, 7 day a week emergency commercial elevator services – to Portland, OR businesses. Call Sturm Elevator at 503-284-2003 for all your commercial elevator needs. then call the commercial elevator experts at Sturm Elevator today. We can offer a phone estimate for repairs or maintenance, or send a technician to your location for an even more detailed evaluation. We even offer 24 hour emergency commercial elevator services to keep the downtime and interruptions from stalls and breakdowns to a minimum. For more information on commercial elevator maintenance, service and repair in Portland click here for our main Commercial Elevator Services page. Please feel free to call us at 503-284-2003 or use the Online Contact Form below. Sturm Elevator is the top professional for commercial elevator modernization in Portland Oregon. Costs and safety are issues for any business using elevators. Sturm Elevator can modernize your existing elevators to help your business keep your energy and maintenance costs in check while ensure that your guests and staff members remain safe while using the commercial elevators in your business. Click here to learn more about Portland commercial elevator modernization or call 503-284-2003 to speak to a member of the Sturm team. Oregon law requires that commercial elevators be inspected and certified every 6 months. Sturm Elevator makes Portland commercial elevator inspection and certification easy for businesses by offering open ended service agreements. Once you set up a service agreement with Sturm Elevator, you never need to worry about scheduling or being in compliance with the law. We’ll come to your location every 6 months and handle the inspection and certification. We’ll continue to show up like clockwork, twice a year, until you choose to cancel. To schedule commercial elevator inspection and certification in Portland Oregon or to set up an automatic bi-annual elevator inspection and certification with Sturm Elevator, call us at 503-284-2003. For more information about inspection and certification legal requirements, click here for the Commercial Elevator Inspection Services page. Commercial sidewalk elevators and commercial freight elevators require expert professionals when it comes to service, maintenance and repair. We offer onsite inspections and estimates so you’ll know exactly what your sidewalk elevator or freight elevator needs to keep it running safely and in top shape. Sturm Elevator has been servicing commercial freight and sidewalk elevators in Portland Oregon for decades. Sturm Elevator offers ideal commercial elevator installation services in Portland Oregon to smaller scale businesses. Extended stay hotels, apartments, nursing home and assisted living facilities, schools, churches, funeral homes, restaurants and other commercial properties that are 2 to 4 stories can all benefit from the installation of a Limited Use & Limited Application (or LU/LA) commercial elevator. Commercial LU/LA elevators are energy efficient, making them cost effective, and will allow your business to be fully accessible to all guests, patrons and staff. To find out if a commercial elevator from Sturm Elevator is right for your business, use our Online Contact Form below, click here for our Commercial Elevator Installation page or contact us direct at 503-284-2003. If your Portland business needs commercial elevator maintenance, repair or inspection and certification services, call the Sturm Elevator team. We do it all and we’re available 24/7 in case of emergencies. Commercial elevator breakdowns and stoppages aren’t just an annoyance for businesses, they can create a serious financial drain. No business wants their staff members, or worse yet their customers, stuck in a stalled elevator… but sometimes these emergencies happen. When they do, Portland business rely on Sturm Elevator 24/7. Our dispatch team and technicians are available at any and all times in case of a commercial elevator emergency. We’ll get your commercial elevator repaired and operating properly fast. 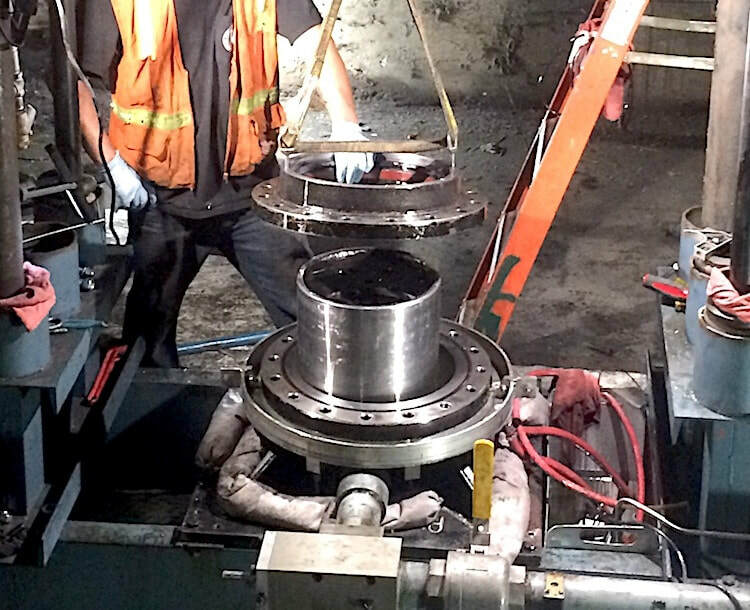 Sturm Elevator can even recommend a maintenance and servicing plan to ensure continued smooth and efficient operation. We’re on call day or night, 7 days a week, 24 hours a day with our commercial elevator emergency services for Portland Oregon. Just call 503-284-2003 at any time to speak to our dispatch team. Mobility and ease of access within a business can take many forms, and commercial elevators aren’t the only solution. 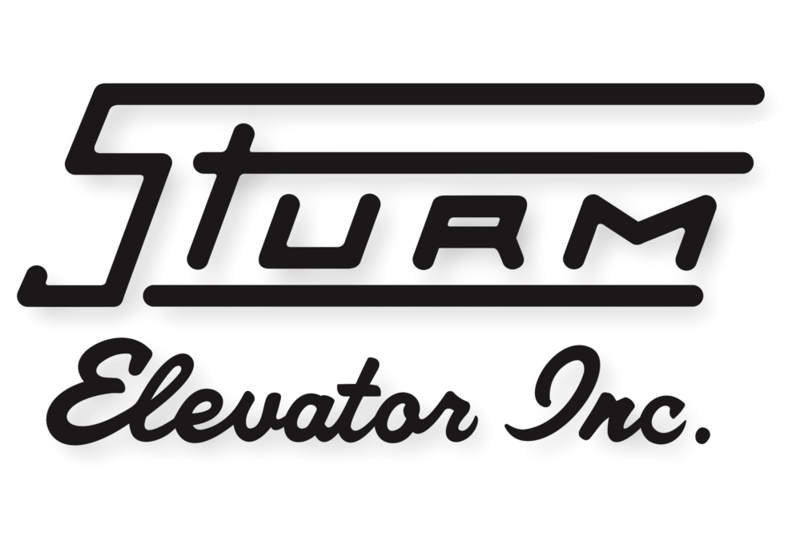 Sturm Elevator offers commercial chairlift and commercial stairlift services to Portland Oregon businesses in need of installation, maintenance and repair. 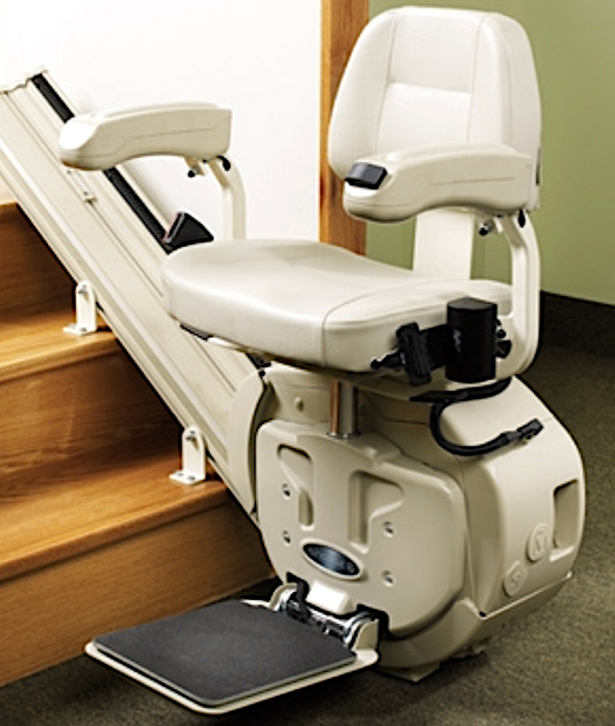 Stair lifts and chair lifts offer accessibility and mobility to your customers and staff alike both inside and outside your business. We offer a wide array of designs that are highly customizable to your specifications. 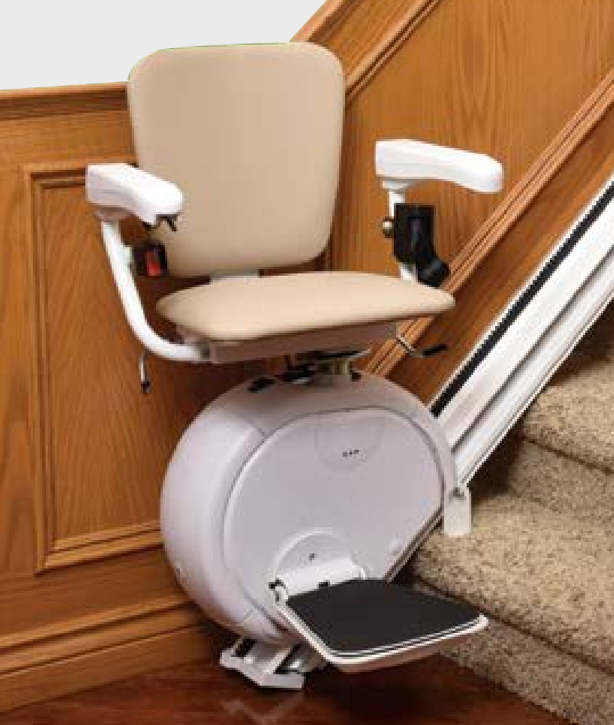 Modern commercial stairlifts and chairlifts are energy efficient and operate quietly. And if you have an existing chairlift or stairlift at your business, the Sturm Elevator team offers repair and maintenance options to keep them running safely and properly. To discuss commercial chair lift or commercial stair lift options for your Portland area business, call us at 503-284-2003 or use the Contact Form below. For a more detailed look at indoor and outdoor options, click here for our Commercial Chairlift & Commercial Stairlifts page. Sturm Elevator offers professional and reliable commercial dumbwaiter installation, maintenance and repair services to Portland Oregon property managers and business owners. Our commercial grade dumbwaiters can handle loads of up to 500 lbs., allowing for safe, efficient movement of items between floors. The safety of your staff and guests is crucial for your business, both from an operational and financial standpoint. Staff who regularly have to move heavy loads between levels are at increased risk for on the job injuries. If guest or customers are in close proximity, that can create an even great liability for your business. A commercial dumbwaiter could be the ideal solution for your business. Click here for our Commercial Dumbwaiters page for detailed specs on installing a dumbwaiter in your Portland business. Fill out our Contact Form in the next section or give us a call at 503-284-2003 for more information. If you’re in need of commercial elevator or mobility services for your business in or around the Portland Oregon metro area, call the Sturm Elevator team today. We’re a local, family owned and operated company and we’ve been serving business in Portland and all over Oregon for over a century! If you would like more information about the commercial elevator services we offer throughout Oregon, click here for our main Commercial Elevator Services page. There you'll find a more in depth look at each of the services referenced on this page, with additional photos, specifications and manufacturer's information. If you'd like a callback, simply fill out the form below and a Sturm Elevator professional will contact you soon. We also encourage you call us direct at 503-284-2003.